$300.00 Transport fee to Atlanta, G.A. (ATL). Flights to be paid directly to Delta Air Cargo after booking. Flights range from $260-$280 range. Contact Delta Air Cargo to book your flight directly (404)-763-4259. Price includes travel crate and certified vet health certificate. 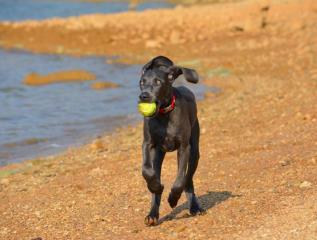 Welcome to Dilbeck Weimaraners. We are located in Tunnel Hill, GA just minutes off I-75. 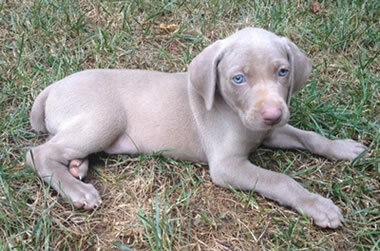 We specialize in Beautiful AKC and Pedigree litters of Weimaraners. 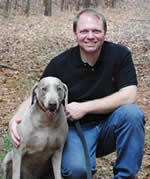 We normally offer litters Spring and Fall each year. 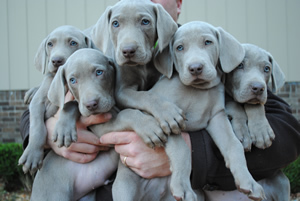 We have been breeding Weimaraners since 2004. 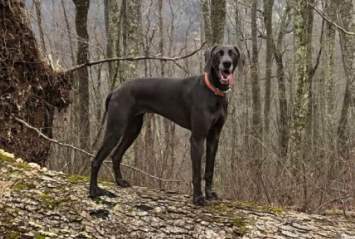 All Dilbeck Weimaraners are AKC Registered and all carry solid Pedigree's in hunting, versatility and conformation depending on litter. All of our adult dogs are true pets and are very gentle with children and people in general. Our males and females are super intelligent in conformation, tracking skills and eager to learn. 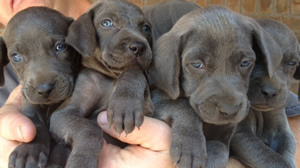 We offer Silver, Silver/Grey and Blue Weimaraners. Beginning Fall 2013 we will offer Longhair litters. Occasionally the Rare coat type Stockhaar. All of these will be limited registration. Full: Breeding rights; means you have the ability to breed responsibly if you desire at any time. All rights for passing bloodline. Limited: Non-breeding rights. Still able to compete in events for show, field and hunting. 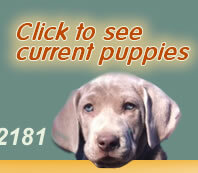 Please view our website often to see new updates and puppy info which can change weekly. 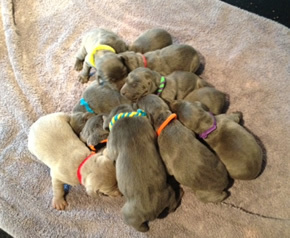 Feel free to call or email anytime with questions or to schedule an appointment to view the latest puppies.